Two years later everything had changed. The submarine telegraph cable, which had been connected to Darwin, was rerouted through Broome because of volcanic activity in the Arafura Sea and in February 1889, was landed on what is today known as Cable Beach. Suddenly the town was much more than a collection of tents. The firm of Streeters set up a store trading in pearls and mother of pearl shell and built the famous Roebuck Hotel. 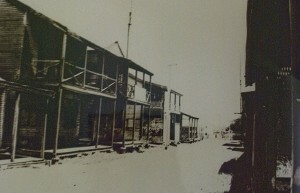 The store still stands in Short Street near Streeters Jetty and the Roebuck Hotel is around the corner in Dampier Terrace. The town grew rapidly driven by the search for pearls and the search for pearl divers was unceasing. 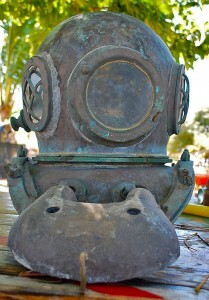 Without the benefit of modern underwater equipment the divers were forced to dive only to resurface when they ran out of breath. The pearlers had no compunction about kidnapping local Aborigines (black-birding) and forcing them into virtual slavery as divers. 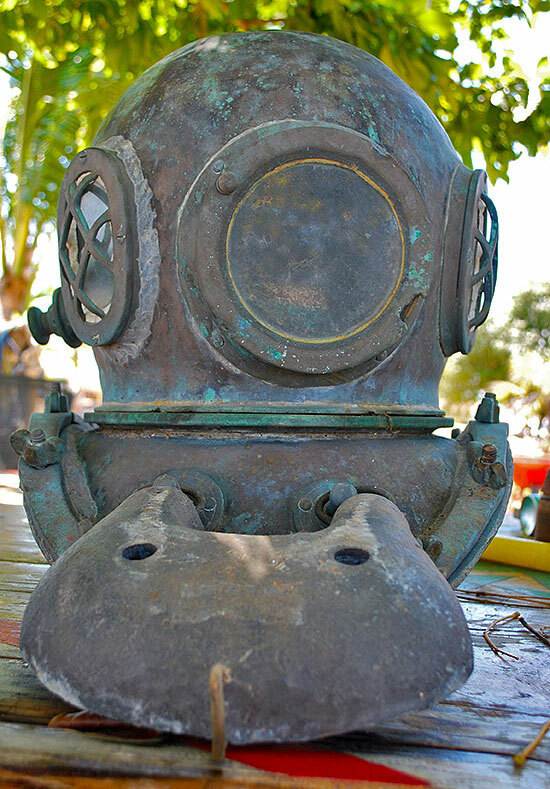 By 1887 the Broome Pearling Fleet had changed from skin-diving to apparatus-diving with the distinctive canvas suits, copper helmets and boots, and rubber air hoses. 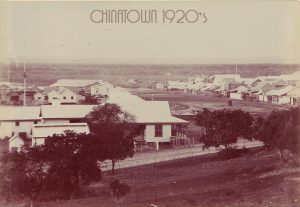 The town thrived on the hugely profitable, and extremely dangerous pearl-shell industry, using Asian labour that was cheap to hire and easy to replace. Cyclones, the Pacific war, sharks and the dreaded bends have left many bones in the local graveyard, and more on the bottom of the sea. There was an appalling death rate among the early divers where ignorance of the hazards of deep and prolonged diving resulted in a painful death or at best, incapacitation, through what became known as decompression sickness or the “bends”. There are tales of divers brought to the surface bereft of life, squashed out of recognition. Despite Broome’s chequered past or more likely because of it, Broome now boasts a multicultural population which have all blended to create a captivatingly welcoming and colourful personality that is the heart and soul of Broome. 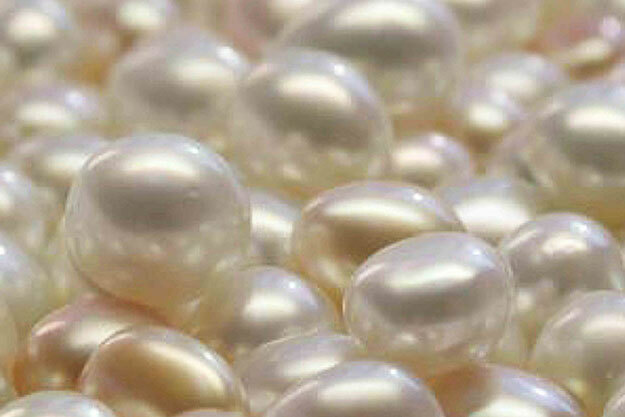 Cultured pearls from Broome are now the best in the world. Why is Broome named Broome? 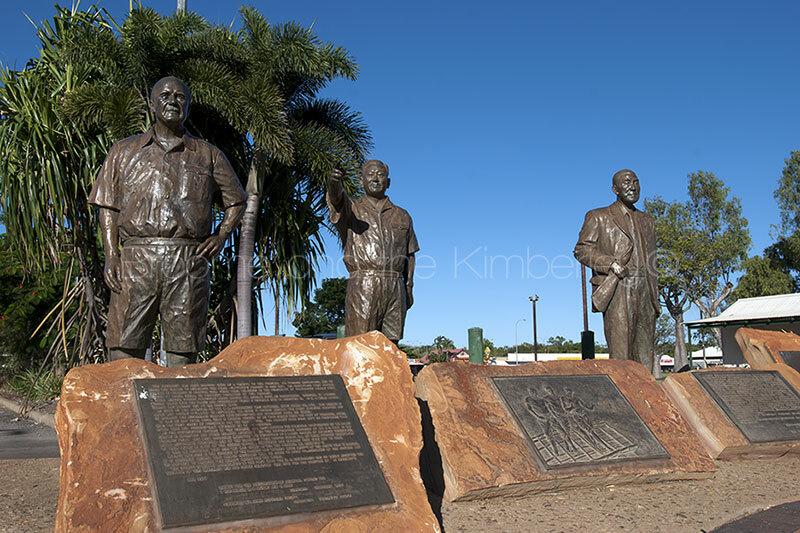 Broome is named after Frederick Napier Broome who was the the Swan River Colony’s Governor. 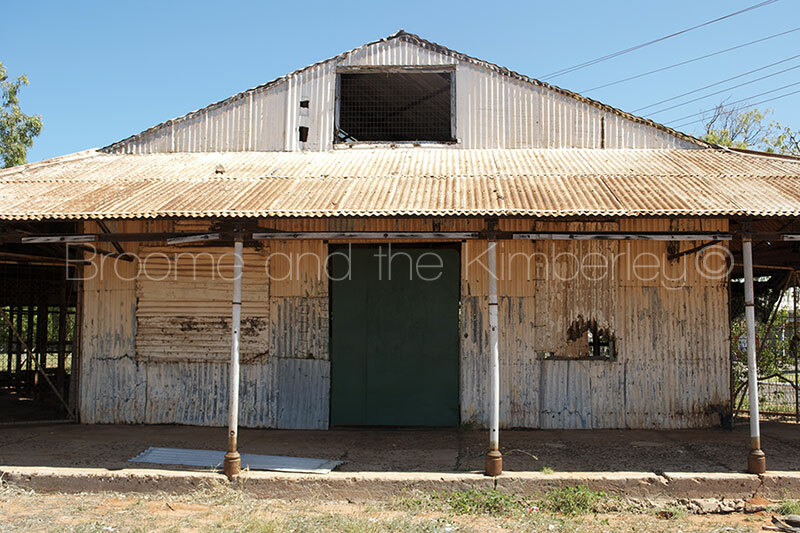 Broome was not pleased to be named after a town that was really just a collection of dilapidated pearlers camps scattered throughout the sandhills. At the time the governor wrote to the Colonial Secretary stating “I believe the township named after me by the Hon. Surveyor General (John Forrest) to remain a mere dummy townsite inhabited by the tenants of 3 graves .. my present idea is to have the name cancelled”. He was unaware that one of the 3 graves belonged to Matthew Forrest, the Surveyor Generals, recently deceased younger brother, who had died from measles and pneumonia just before his 28th birthday while diving for pearl shell at Roebuck Bay. 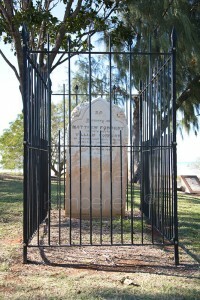 Mathews grave can be seen today at Pioneer Cemetery, Town Beach overlooking Roebuck Bay. A statue commemorating women’s contribution to the pearling industry sits proudly on the foreshore of Roebuck Bay. She appears to be bursting out of the water, offering a pearl shell but a closer look reveals a less romantic story, as she is pregnant and is gasping for air. She pays homage to the resilience and suffering of the forgotten women of pearling in Broome – both early divers and those who supported the industry from land. In the first instance, it acknowledges the horrendous early 19th century practice of “blackbirding” – the forcible kidnapping of Aboriginal women to pearl luggers, where they dived for pearl shells in deep water, often without breathing apparatus. Unsurprisingly, many of the women drowned. Djugan and Yawuru woman Mary Theresa Torres Barker, 72, said she had heard painful stories from her grandmother Polly Drummond, about the “sad time” in Broome’s history. The practice died out in the 1890s, several years after Broome was gazetted, when men brought in to build the wooden jetty brought male skin divers with them. 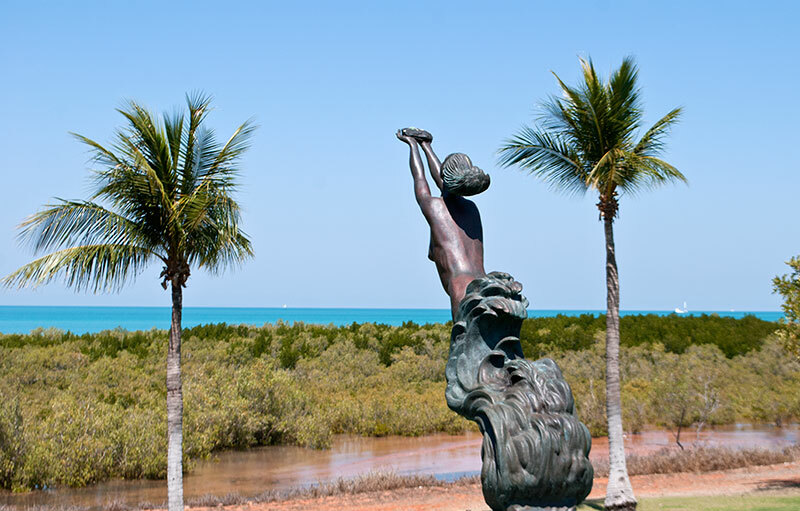 But the statue also acknowledges the on-shore women who helped Broome’s pearl shell industry to thrive, during its heydays in the late 1800s and early 1900s. From the early days, women worked for pearlers as domestic help – and in many cases, bore their children. Mixed families were often torn apart when Asian indentured workers were suddenly deported, leaving their women to raise children alone. 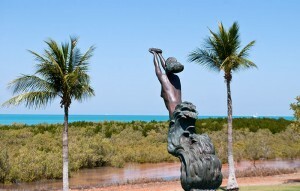 Researcher Sarah Yu said the statue’s location on the foreshore placed the spotlight back on a rich part of Broome’s heritage which was often ignored. From the late 1800s to early 1900s, hundreds of pearl luggers would pass through the area en route to Streeter’s Jetty. The mothers, wives and children of lugger crews would also assemble there, gazing out over the water and waiting anxiously for the return of their loved ones on the spring tides. Hearts sank when they arrived with flags at half-mast, indicating that more of their men had died at sea. Despite the area’s rich cultural history, only bare traces of the once-thriving industry at the site can still be seen, including three crumbling buildings, the jetty and remains of several pearlers’ camps, Mrs Yu said. 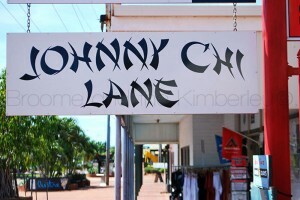 Many people have asked me about the history of Johnny Chi Lane. 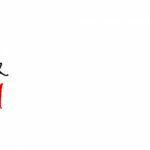 Who was Johnny Chi and why was a lane in the heart of Chinatown named after him? The tale begins with Captain Reddell, who along with his son, first mate and several crew members, were murdered, by his Koepanger crew who mutinied and sailed his brig Ethel to Koepang in Timor. They scuttled her out of sight of land, coming ashore in the dinghies, with a tale of being shipwrecked sailors. John Chi, the Chinese cook, gave them away. The Dutch authorities arrested them and sent them to Fremantle where they were convicted of murder and hanged. Johnny Chi became a pearler himself in time and invested in property in Broome’s Chinatown, giving his name to Johnny Chi Lane, where he ran a long-soup kitchen. Russian WW1 Ace, Ivan Smirnoff was handed a a sealed cigar-box sized container on the 3rd March 1942 as he was taking off from Bandung in Java. He was headed for Australia and onboard his Douglas DC-3 were nine Dutch refugees fleeing the imminent Japanese invasion, one of which was an 18 month old baby. Smirnoff threw the box into the Dakota’s First Aid box, not being aware that the contents of the box contained the equivalent, in today’s market, of $19 million worth of diamonds. He was however, told to “Take good care of this, it is quite valuable”. 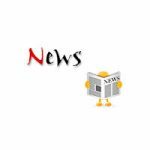 He was told that the Commonwealth Bank would take delivery of the box on arrival in Australia. At about 10.30am, when the DC-3 was still 80 km from its destination, Smirnoff saw billowing clouds of smoke over Broome. The town of Broome was under attack. Nine Japanese Zero had been strafing flying boats and other aircraft, destroying 22 of them altogether and claiming more than a hundred lives. The lonely DC-3 was quickly spotted by three Mitsubishi Zeroes who were returning to their base in Timor. The Japanese pilots, who were at a higher altitude than the DC-3, dived at it and fired at its port side, scoring numerous hits. The port engine caught fire and Smirnoff was wounded in his arms and hip, but managed to put the aircraft into a steep spiral dive. Knowing that the DC-3 would likely flip over in a conventional, wheels-down landing on soft beach sand, Smirnov decided to make a belly landing at Carnot Bay. He achieved this, with the aircraft coming to a halt in shallow surf. The Zeroes then strafed the DC-3. Four passengers, including the baby, were killed or seriously injured by bullets. The following day, as the survivors awaited a rescue party, a Japanese Kawanishi H6K flying boat spotted the wreck and dropped two bombs. The Kawanishi later returned and dropped another two bombs. None of the bombs caused any damage or injuries. After taking care of the wounded, he sent one of the passengers back onboard to recover the mail, the log book and the package. But as the man was climbing out of the wreck, he was hit by a wave and lost his cargo. The log book and some of the mail were recovered, but the package had disappeared. After the ordeal, Smirnoff was questioned by the police about the package. He had no idea, that the package contained diamonds. 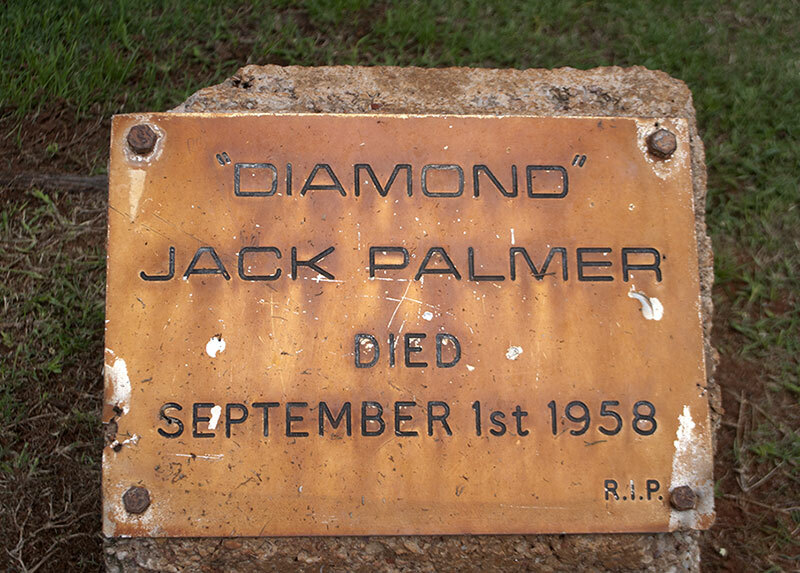 Meanwhile, a mariner from Broome named, Jack Palmer had sailed his lugger to the wreckage, salvaging what he could. And probably finding the package. It is said that he latter bragged that he “no longer had to work, only sit down and smoke cigars”. By mid-April, he was enlisting in the army, bringing back around £20,000 worth of diamond that he said he found on the wreck. He claimed it’s all he had, since the package had opened itself when he touched it and all the content had fallen in the sea… He was immediately taken into custody for interrogation. 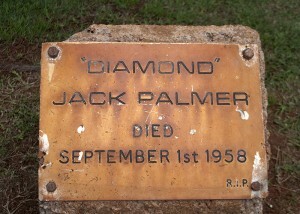 Jack Palmer and 2 other accomplices were tried in Broome in 1943, but all of them were acquitted. Over the years, diamonds started showing up at different locations, but it all accounted for a little more than £30,000 of the original £300,000. The rest, they say is still missing? A description of the awakening of the land as described by a Norwegian Naturalist Knut Dahl in a visit to what is known today as Roebuck Plains pastoral station, in January of 1896. “Before Christmas, no green straw, except the spinifex grass, was to be seen anywhere. Everything was grey and withered, swept by grassfires, eaten by animals and insects. The trees certainly carried some brownish-green leaves, but all annual vegetation was completely suppressed, annihilated, and the eart was strewn with debris of dry remains of plants, droppings from animals, remains of insects, etc. which mingled with the loose sand of the soil. I had certainly expected the rainy season to produce an alteration. But in these parts the wet season is only of short duration, and the biggest annual rainfall previously registered did not much exceed twenty inches. I anticipated, therefore, that no excessive change could be expected to take place in the character of the landscape and of the flora and fauna. I have never made a greater mistake, and never in my life have I witnessed a more striking development of flora and fauna than that which took place in this region as soon as the rainy season set in, in real earnest”. “At Christmas time and during our march to Loomingoon (Roebuck Plains Station – 64 kms from Broome towards Derby), it had rained a good deal, but this rain was immmediately absorbed by the thirsty soil, and soon after the rain had ceased and the sun had come out, the landscape appeared as dry as ever. Certain signs, however, seemed to indicate that enormous forces were slumbering in this apparently barren soil. Everywhere in the sandhills, in the plains, and in the pindan, minute green sprouts began to appear, almost like what one sees in a sprouting field in Europe”. “During our stay at Loomingoon, the rains became more and more frequent, until finally it poured day after day with only small interruptions. When these rains were followed by a few days of sunshine, the whole land became one steaming hotbed. All vegetation shot up with incredible rapidity. Very soon, the grass stood as high as a man, the leaves of the forest took on luscious blue-green colour, and in the plains, and along the shores of temporary lakes, grasses and water-weeds sprang with irresistible force from soil which a couple of weeks before, might have been that of the Sahara desert”. “In a surprisingly short time an enormous wealth of lower organisms developed, the water was soon teeming with minute crustaceans. As the rains increased, the toads and frogs came to life, cicadas sang their eternal song and a vast variety of birds arrived in order to feast on this easily obtained food and also to breed in the profuse vegetation along the shores of the temporary lagoons. And as the waters of the plains increased in area and the wealth of lower organisms was augmented, the number of migrating birds also grew, until the whole landscape finally teemed with a life as over-overwhelmingly prolific as I can remember ever seeing anywhere. If anybody had seen this land as it was a month ago, had fixed its appearance firmly in his memory, and then after the interval had suddenly been faced by the same landscape in its altered appearance, he would have said that the whole thing was a deception, a lie, a shameless and elaborate lie which almighty Nature jestingly wanted to impose upon him”. “Some weeks ago these plains were desert. Dry and fine sand rose in little clouds at every step of the horses, while the wind swept the sand away and played with the dry debris of the withered vegetation. Now it might happen that the grass and rushes rose higher than the saddle as one rode among the glittering lagoons, and every step of the horses might flush a profusion of waterfowl”. Broome at the turn of the century was as well known on the streets of London as any Australian city. 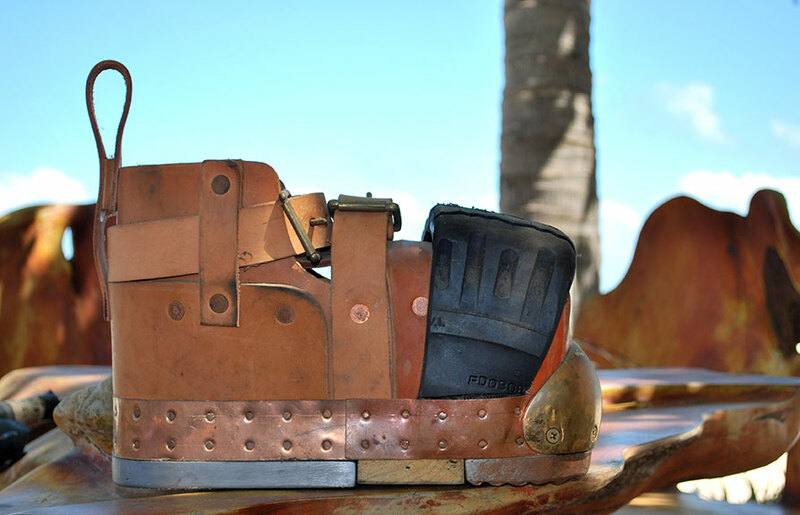 Ships from all over the world called in to this tropical port to take on cargos of pearl shell. 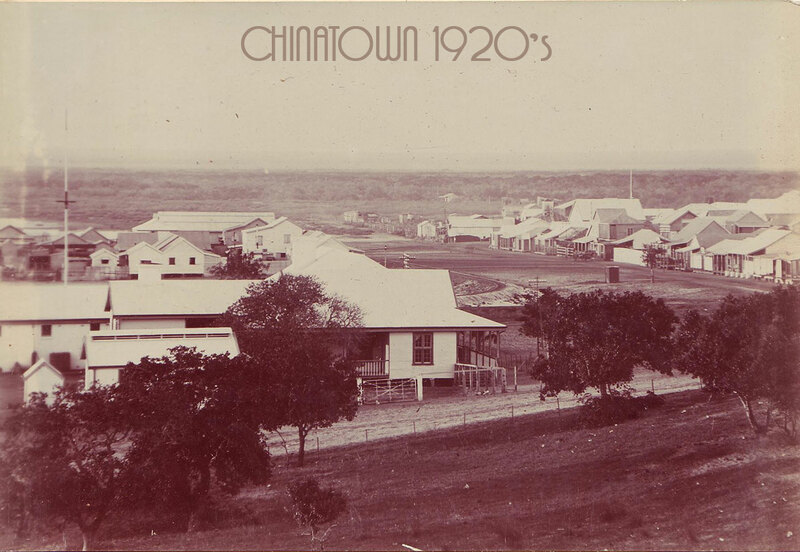 The streets of Chinatown were alive with a cosmopolitan population that lived crowded along the foreshore. Today tourists in Broome often search in vain for evidence of this pearling hey day. The same foreshore where hundreds of asians lived and worked is now deserted. Empty lots in Chinatown once housed large commercial emporiums. Sheba Lane is now a sandy track. What happened? The answer is of course that the Broome of old was built with pearling in mind, not posterity. 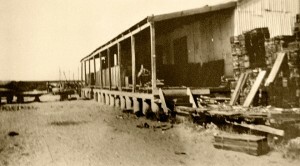 Men after quick rewards came to Broome, tacked together buildings of timber and corrugated tin, then sailed off in search of shell. When the pearling industry collapsed they left and the structures they abandoned fell into rapid decay. Today it is the men, women and children walking along Broome’s pindan verges who define the legacy left by the pearling industry. Their faces are reflections of those who established the town, their stories the living history of the area. In a far away fishing hamlet known as Taiji on the southern shores of Japan, a village known for its whaling, had in 1878, a female right whale give birth to a calf near its shores. Although it was local taboo to hunt a female with calf, the whaling industry was in decline due to foreign intensive whaling and the income for Taiji from whale meat had fallen considerably. Excited with their good fortune, almost the entire adult male population, set out in their boats and captured the whale in a large net. The mother fought with great fury to protect her calf and dragged the boats out to sea. It became dark and the men became cold and exhausted, struggling with their oars to tow the whale. By morning the fleet was scattered, the whale was finally cut loose but the storm worsened. Within a few days, the cream of the Taiji whalers, and the best of their boats, had been swept far out to sea and had died from exposure or drowning, 130 men killed and only a handful of survivors, leaving the tiny village in deep mourning. 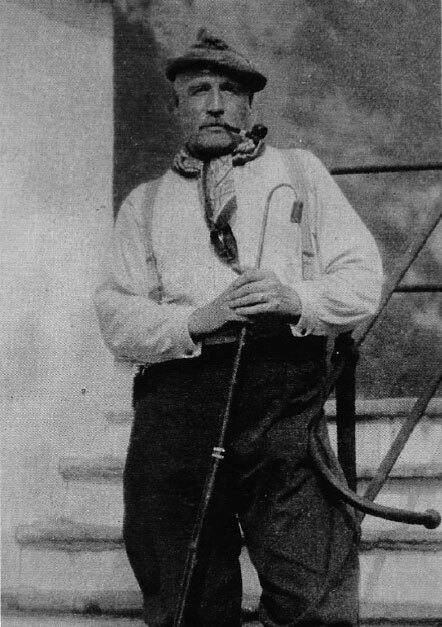 Unable to survive through whaling, the fatherless, young boys of Taiji heard through the crews of foreign ships seeking whale oil, of money to be earnt in the Pearling Industry in the Northwest of Western Australia and so Broome gained some of the best divers and tenders in the Pearling Fleet. The Japanese Cemetery lays testament to the high toll of Japanese life to the Pearling Industry. In the centre of the cemetery, stands a tall obelisk, built by the survivors of the 1908 cyclone, to commemorate those who died on April 26th, when 41 luggers were sunk and 40 men died. Many of the tombstones are in date order, portraying a death rate from month to month that would indicate the bends (decompression sickness) and in 1914 there were 33 deaths from this excruciating and little understood condition, that arises when a diver surfaces too quickly from the oceans depths. Three life-like statues, in the heart of Chinatown, commemorate Mr.Tokuichi Kuribayashi, Mr Hiroshi Iwaki and Mr Keith Francis Dureau, who were pioneers in the cultured pearling industry in Broome. These men foresaw the impact of plastic buttons on the pearling industry and began working towards introducing the cultured pearl industry to Australia. With the co-operation of Japanese experts an experimental pearl farm was established in 1956, today known as Kuri Bay, famous for producing the “biggest pearl in the world“. 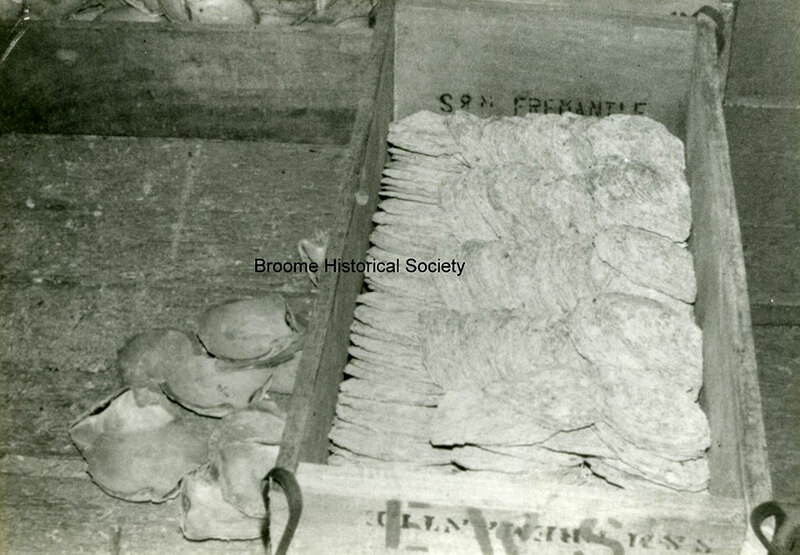 I have recently received a comment from a lady wanting to know about an old wooden shipping box marked “Produce of Australia”, with “Broome” and “Donovan” on the side and “New York” on it. She said the box was made of a very heavy thick wood, with metal straps and of an overall size approx. 3 feet long, 18 inches high and 2 feet wide. 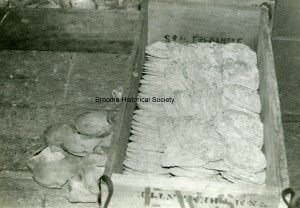 The Broome Historical Society very kindly donated this image of an old pearl packing crate to see if this is what she has. but at the same time the area offers a great blend of history, culture and the ambience of a smaller community. I love being reminded of this beautiful place and one of my most precious souvenirs is a pearl from Broome – but one that has burst – and I can’t remember the name that this kind of pearl is given. Hi Rebecca .. would it be a keshi pearl you have? Are there any published stories or movies around this time in our history? 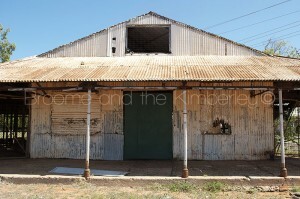 Hi Cindy .. yes there are many published books around this time in Broome’s history. I enjoyed Susie Sickert’s, Beyond the Lattice and Hugh Edwards, Port of Pearls is very comprehensive. Hi would like to say that I enjoyed your blog especially as you did not leave out the fact that our aboriginal people were captured and forced into diving for pearls. Hi Rose, Thanks for your comment. 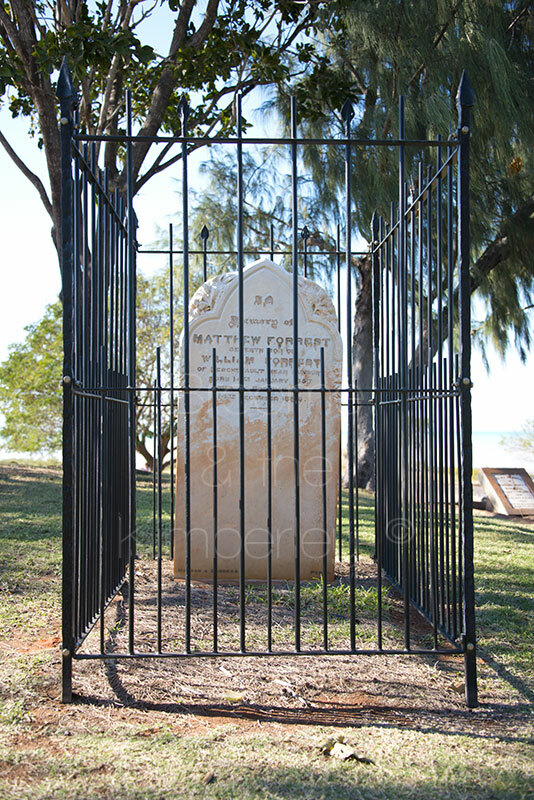 The aboriginal people of this area played a big part in Broome’s early pearling days and there are 2 memorials, one on the foreshore of Roebuck Bay and one in Chinatown, that pay tribute to them. I hope to write more about this soon. 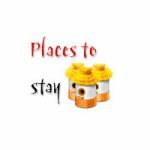 Thanks for a awesome blog, well written and interesting! I just miss the story about the Japanese man (forgot his name) that had “the bends” almost constantly for 30 years and one time his entire left side were paralyzed, but he still continued to dive for pearls. I remember that story the best from my visit to Pearl Luggers Museum. I recently aquired an old wooden shipping box marked “Procuce of Australia”, it also has “Brroome” and “Donovan” on the side. I’m assuming Broome was the export location, also has “New York” on it. Can you give me any information on this? Its made of a very heavy thick wood with metal straps overall size approx. 3 feet long,18 inches high and 2 feet wide. Hi Pam, it sounds like a pearl packing crate they used to export shells. At the peak of the pearling boom, Broome was the centre of an industry that supplied up to 70% of global demand for the shell which was used to make buttons. 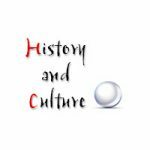 I have posted an image on the History and Culture page, so you can compare yours, scroll to the bottom of the page. You can click on the image to make it bigger. just a small point of accuracy in the story of Johnny Chi…. The pearler’s name (my great grandfather) was Captain John Reddell (not Ridell). Most sign boards etc around Broome now have the correct spelling. Thanks for pointing out my error. I actually did research the correct spelling but obviously went with the wrong one. If you have any stories or photos to share, I would love to hear from you! Hi Linda, I have checked through all of my books but cant find anything as you describe. 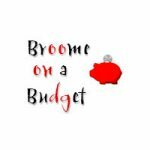 Your best bet would be to contact the Broome Library .. librarynotices@broome.wa.gov.au or alternatively the Broome Museum .. admin@broomemuseum.org.au. Good Luck! Thanks Amanda, I believe the book I am looking for is “Spinifex and Hessian: women’s lives in North-Western Australia 1860-1900” by Susan Hunt. Our university library have it so will go and check it out! Thanks again for your help. Best Wishes, Linda. Having visited Broome in the 90’s from England, I’ve been stung by the Broome effect! I’ve read ‘Tears of the Moon’ by Di Morrisey and ‘The Pearling Master’ by Tom Ronan, both were based on the days of pearling. More recently I’ve enjoyed reading ‘The Compass of Naivety’ by Clive Chabrier, which has a couple of interesting chapters based on his experiences in Broome 1959/60. Both ‘Tears of the Moon’ and ‘The Compass of Naivety’ are available on Book Depository.co.uk (worldwide free delivery) or Amazon, and ‘The Pearling Master’ occasionally comes up second hand on Amazon. Hope this is helpful. Great site! Thanks for the read!